Take a tour of any region of the city or county and lunch ($100) per person with Publisher Barry Berndes. Barry knows San Diego! Getting a relocation guide to San Diego is an absolute must. The simple way is to download the one available on the home page. You can also contact the SAN DIEGAN at 4241 Jutland Dr., Suite 320 San Diego, CA 92117 for a printer version. The cost is $7 including shipping. This is the resource that everyone uses to acclimate themselves with the city once they arrive in San Diego. Where to live will have a huge bearing upon where you find a job. Unless you enjoy long commutes, you should use the Online and print version of the SAN DIEGAN to help you find the right suburb as close to your work as possible. And if at all possible, where you like should be as close to the ocean as possible mainly because why would you move to San Diego if you don’t like cool ocean breezes, having a Starbuck’s Coffee while looking at the ocean or riding your bike along the boardwalk in your new bikini swim suit. So this generally means finding a good realtor to help you find the perfect home in paradise. Thus the relocation chapter and the real estate chapter will help. However, a lot of savvy newcomers opt to rent before they buy. Thus, if you have not found a job upon arrival consider living in central San Diego. This area is called Mission Valley and it is home to about 1,000 apartments and classy condos sprawled over a broad area of land within a large valley. So the general quality of life here is good. Best of all it has almost all of the major freeways running through it both north and south. So jumping onto a freeway and getting to work on time should be your goal. Then over the next few months, with the use of the SAN DIEGAN print version, you’ll be able to discover where you want to live. And if that includes purchasing a home, the realtors we have hand picked can assist you. If it’s a new home that tickles your fancy, you are in good luck because San Diego is blessed with reliably built, smartly designed and affordable homes build with pride to value-conscious buyers with some builders building quality homes in up to 20 states. A leading brand for first-time and value-conscious homebuyers looking for just the right home is Centex Homes. For more information about Centex, visit Centex.com or call 1-951-246-7687. Other excellent brands include Shea Homes (858-526-6500) featuring excellent floor plans and a wide variety of city and suburb locations. A legend from basically rags to riches is home grown Mc Millin HOmes (760-336-2900. It’s founder Corky McMillin stated his company literally out of his garage and built it into a countywide and multi state builder of quality homes. Within San Diego the highest concentration of homes build by this firm is in a beautiful area called EastLake in the southwest region of San Diego County. Not that this community has matured it is home to several golf courses, excellent schools and an impressive large scale shopping. Plus, there are many freeways nearby that make the commute tolerable yet idea if you find a job in this area as this firm has also build many commercial areas enabling residents to work, live and play in the same area. Also a reliable source for house hunting is the U/T newspaper both online and in print. 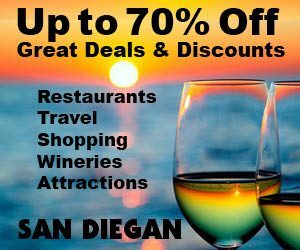 But remember where ever you like take your time because you’ll want to find the best home in the best region where you can enjoy a wonderful California lifestyle, which has led many residents to seek the robust downtown region of San Diego, which was once a blighted area. With international know builders such as Bosa (from Canada) the downtown landscape has changed dramatically with dozens of high rise condominiums which have literally transformed the downtown landscape over the past 20 years into the hot place to live for empty nesters and young couples who are not ready to start a family. Here you will find hot downtown neighborhoods with names like Little Italy, the Gaslamp, East Village and the Embarcadero and overlooking the city the Uptown District. So enjoy the adventure of finding the perfect home in paradise. 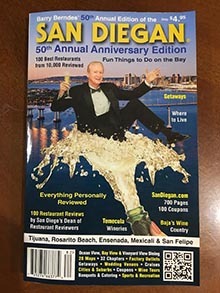 The SAN DIEGAN, with it’s 48 years of being the most read newcomer resource with over 10,000,000 copies in print is a great resource. John Beran: (760-547-2127), North County Coastal Homes. Trisha & Judy REMAX (858-949-5757), Bay Park and San Diego County.